Xiaomi offers some of the most highly affordable Wi-Fi routers in its home market of China as well as in other countries like India. 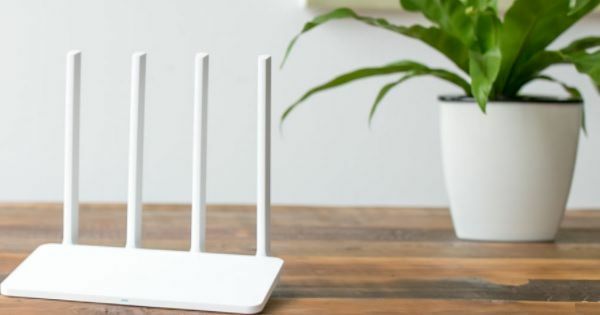 Launched in 2017, the Xiaomi Mi Router 3C has been one of the most popular budget Wi-Fi routers in markets like India. The company released the successor to the Mi Router 3C (overview) called the Mi Router 4 last year. Now it appears that the Chinese tech giant is all set to release yet another offering in this segment. The brand is working on a new router called the Xiaomi Router 4A Giga. Ahead of the unveiling, the new router has been certified by the Chinese certification agency 3C. While the listing on the regulatory authority’s website hasn’t revealed anything about the features of the upcoming router, it is expected to be a toned-down version of the Mi Router 4. Notably, the brand already offers a more affordable version of the Mi Router 4 in China called the Mi Router 4C. It’s quite likely that the upcoming accessory from the company could offer a better set of specs than the Mi Router 4C. As far as the Xiaomi Mi Router 4 is concerned, the device is also dubbed as “fiber-level full-gigabit smart router”. The accessory sports dual-band Wi-Fi, omnidirectional four antennas for wide coverage, it can be paired with up to 128 devices simultaneously, and it alsoflaunts a peak speed of up to 1,167mbps. Notably, the device also features MiNET functionality, which lets you connect it with smart devices, just by clicking a button. The router has a dual-core MT7621A chipset, aided by 128MB of RAM and 128MB of ROM. The Xiaomi Mi Router 4 is available in China for RMB 189 (~Rs 2,000), while its more affordable variant, the Mi Router 4C is being offered for RMB 69 (~Rs 700). We can expect the upcoming Mi Router 4A to be priced at around Rs 1,000. As of now, it’s not clear when the brand is planning to launch the new router. However, since it has been certified by 3C, we can expect it to be released at some point in the coming weeks.